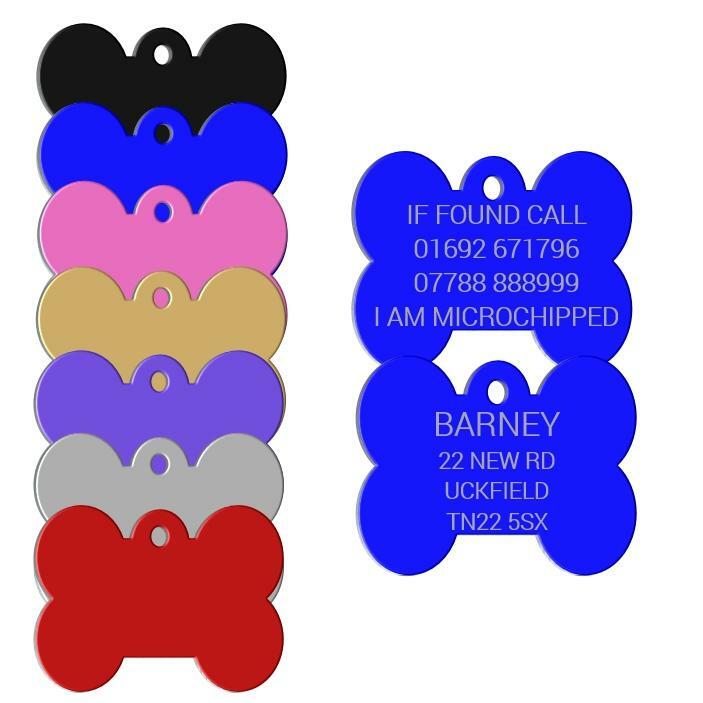 Here we have a lovely selection of lightweight aluminium pet id tags. These tags come in a huge range of colours and shapes. All my tags are deep engraved so your tag will remain clear to read for years to come. 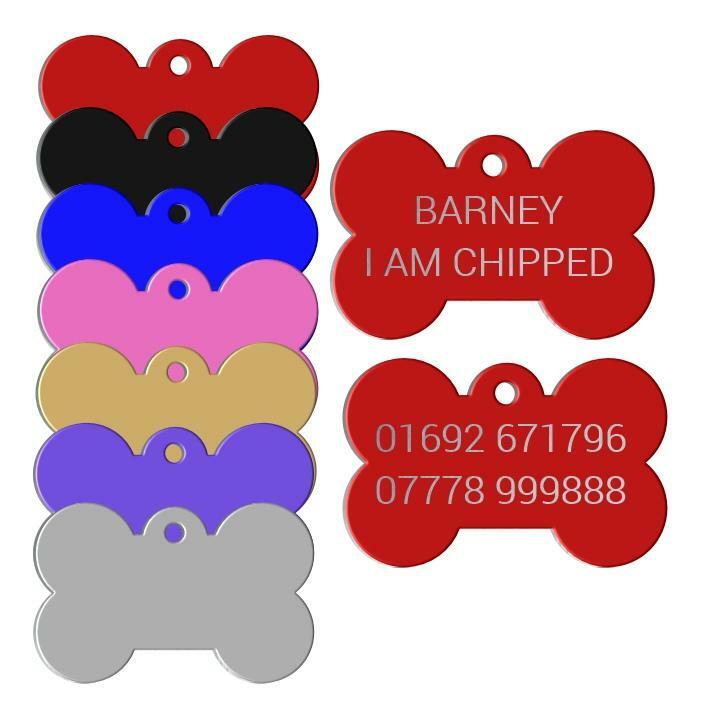 This is our Std range of aluminium tags that are coated with 5 micons of colour.